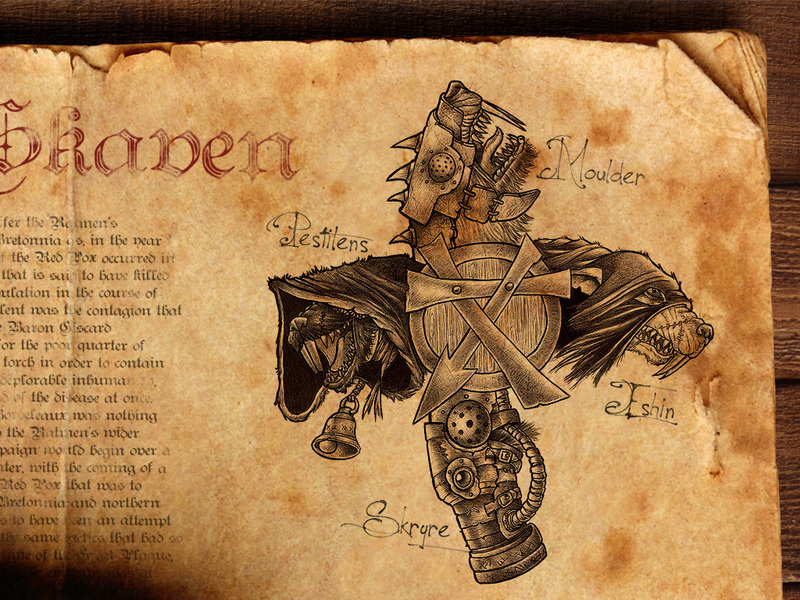 I have a soft spot for Warhammer Fantasy. 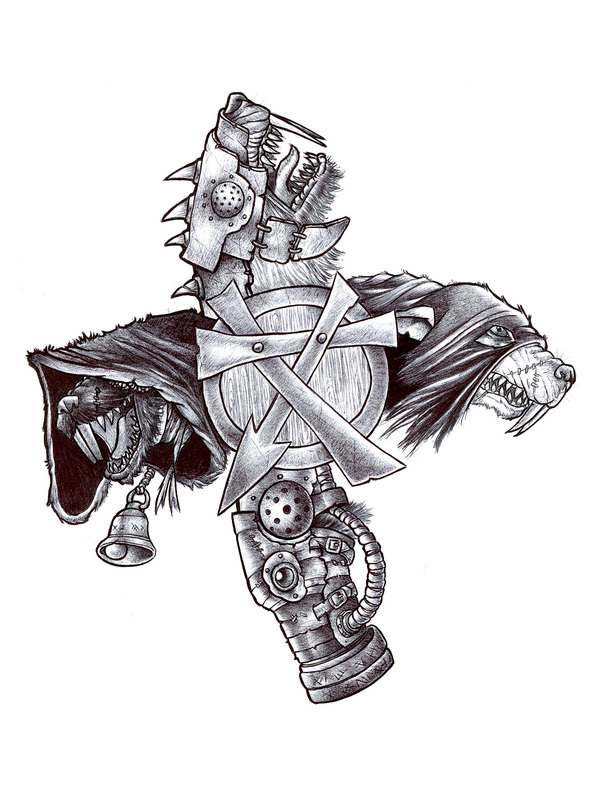 On the darkest corners of that universe you can find the Skaven, also called Ratmen. Forever plotting against other races of the Old World. 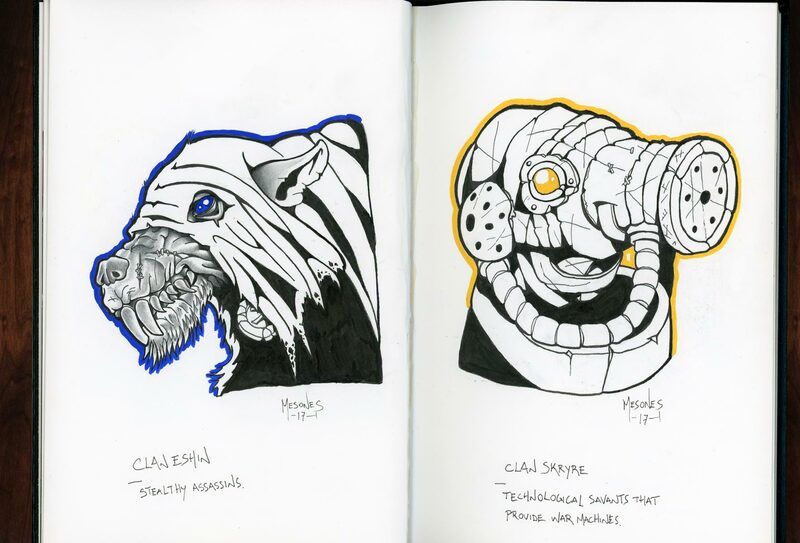 I just love drawing these guys. 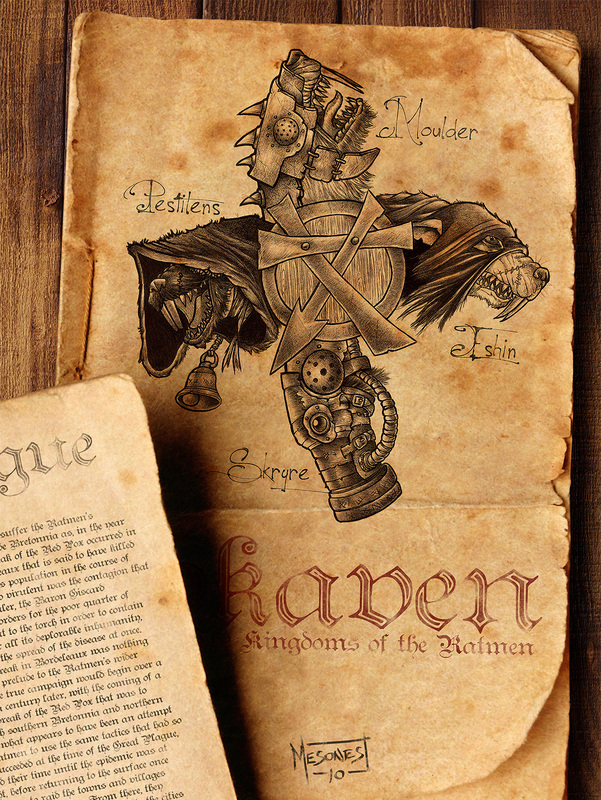 On this artwork I wanted to show the Skaven’s Four Great Clans, as if illustrated on a long forgotten journal. Started the drawing with ballpoint pen and finished the piece digitally. 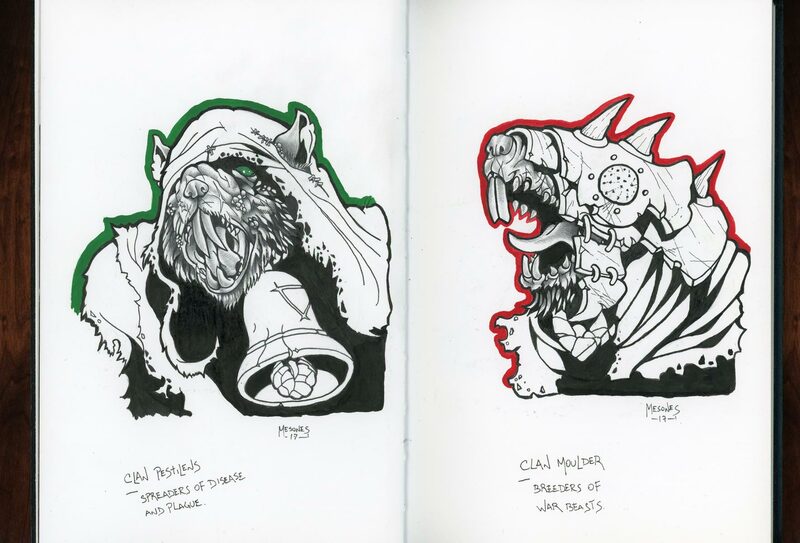 These are part of some commission sketches that were so fun to do. Graphite, ink and gouache.